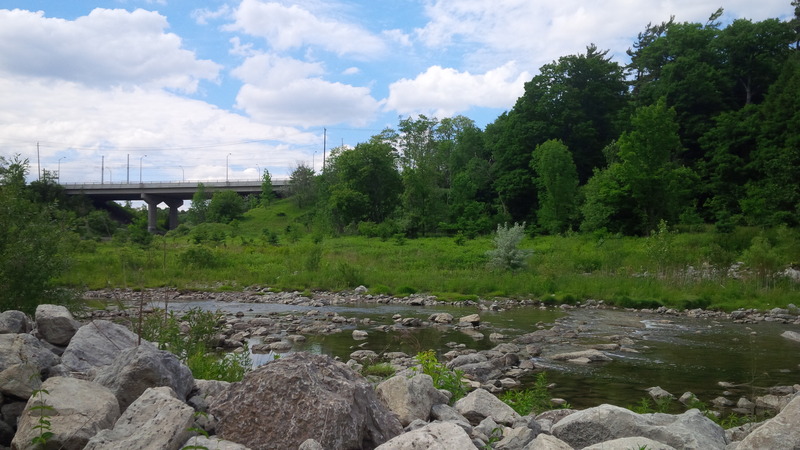 With your help, we plan to develop a new greenway along this picturesque ravine and to construct three new bridges over Highland Creek. We are working to encourage businesses and individuals in the Toronto area to support this meaningful project. However, time is running out. We need to commit funds now in order for construction of the greenway to begin in spring 2019. We can only do this with your help! Created to celebrate the 2015 Pan Am and Parapan Am Games in Toronto, the 40-kilometre Pan Am Path provides a space where Trail users can embrace an active lifestyle while enjoying the area’s natural and cultural heritage. Most of this popular Trail section runs along picturesque river valleys and hydro corridors. However, parts of the section near Centenary Hospital follow Ellesmere Road – a busy roadway. This means pedestrians and cyclists must continue along a route that is shared with motorized vehicles. This section is not only difficult to access for people with limited mobility, but is also dangerous to all users. Your support will help to move the Trail into the scenic ravine of Highland Creek – creating a new and accessible greenway. The three pedestrian bridges will go over Highland Creek through to Morningside Park. 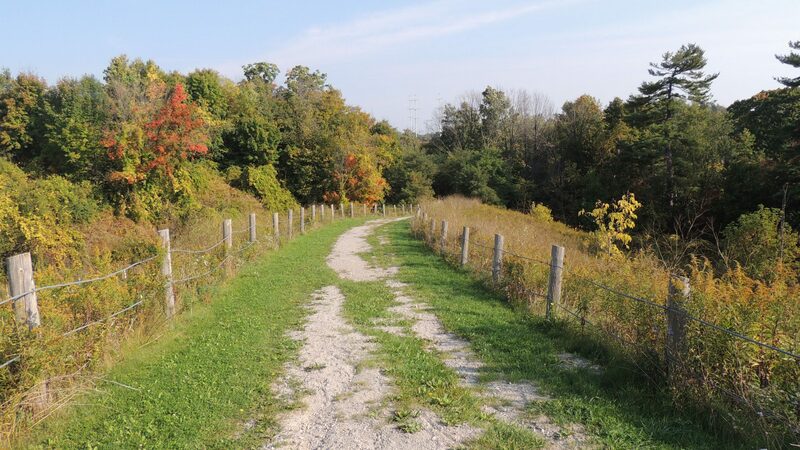 Taking in forests, wetlands and meadows, this stretch of the Pan Am Path offers a precious escape to nature within the Toronto area. This essential project will make that wonderful experience better and safer. These crucial developments are expected to be completed in the fall of 2019. Due care will be taken to ensure minimal impacts on this significant watershed, while creating a safe, green and accessible active transportation corridor for the community. This important roadway conversion is a collaborative project with the City of Toronto and the Toronto and Region Conservation Authority (TRCA). To learn more about the Highland Creek project, click here to download the case for support. Or if you would like to learn how you can contribute to Canada’s national Trail, contact Simone Hicken at shicken@tctrail.ca. All gifts of $1,000 or more will be recognized in the Toronto area once the project is completed.